Find all of Katie’s books – from ‘Dating Mr Darcy,’ ‘Marrying Mr Darcy,’ the ‘Jane Austen Factor,’ and her latest, ‘The Pemberley Collection’ – right here. What can Lizzy do but try not to feel too prejudiced against Hugh’s new woman – a city girl who knows nothing about country life, and seems more concerned with her film star ex than her current fiancé? There’s no denying that there’s something suspicious about Holly’s interest in Hugh…and when he begins to have his own doubts about his high-maintenance fiancée, it seems a break up is on the cards. But is it too late for Lizzy to swallow her pride and get her Austen ending after all? 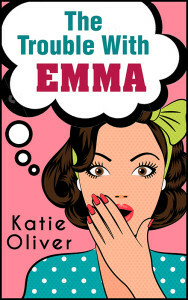 Stuck in a boring job, living at home with her parents and without even a glimmer of romance on the horizon, Emma Bennet’s life isn’t turning out how she planned. And since hit reality show Mind Your Manors started filming at the Bennet household, she’s felt more like a spare part than ever. Mark is everything Emma isn’t: quiet, reserved…and prone to minding his own business. Now Emma is determined to prove to Mark that she’s ready to stop thinking about other people’s love lives – and focus on her own. What should rule – your head, or your heart? Gemma Heath has finally managed to get her rock star husband Dominic to settle down – and she has the ring to prove it. But when she sees photos of her brand-new husband escaping on his private jet with the latest pop sensation, Gemma can’t help but assume the worst: once a cheater, always a cheater. 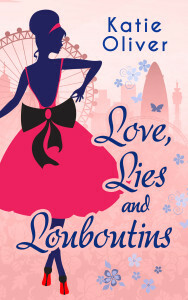 Love, Lies and Louboutins is the second book in Katie Oliver’s fabulous ‘Marrying Mr Darcy’ series, to be followed in March by Manolos in Manhattan. Strutting down Park Avenue in her new Manolos, Holly James looks like a woman who has it all. But under her Prada sunglasses, Holly has a mounting list of decidedly unfabulous problems. Right at the top? The fact that since her fiancé Jamie started spending all his time at his new restaurant (with his impossibly gorgeous sous-chef), Holly has practically forgotten what he looks like…and started to feel a teensy bit paranoid. 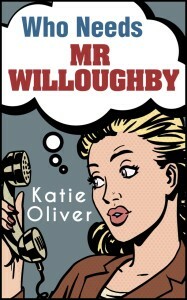 …will Holly ever find her Mr Darcy? Being kissed by film star Ciaran Duncan should provide a much-needed boost to Holly’s ego. 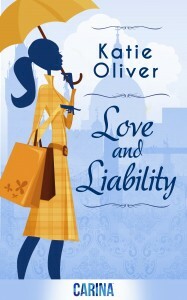 But losing herself in the moment is impossible, since she’s still fuming after meeting British lawyer Hugh Darcy. He’s easily the most arrogant man in Manhattan and she’s engaged to be married…so why can’t Holly stop imagining kissing him? Suddenly, Holly finds herself torn between three eligible bachelors…and it’s proving more difficult than choosing between a Manolo Blanik and a Jimmy Choo – especially since men are non-refundable! What’s a New York fashionista to do? 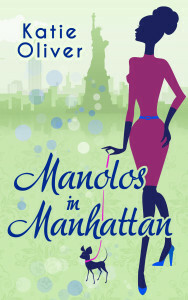 Don’t miss Manolos in Manhattan, book three in Katie Oliver’s ‘Marrying Mr Darcy’ series. 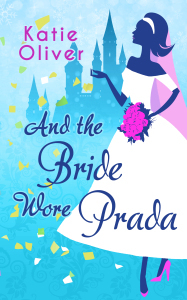 He’s a man in possession of a large fortune….but is he in want of a wife? Sometimes your sensibilities make absolutely no sense. 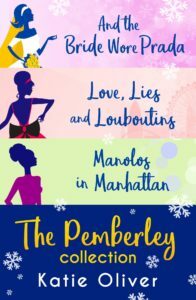 With Sasha sabotaging her every move, and her story about teens on the street leading her into London’s dark underworld, Holly is chasing both love and success at the same time. But happy endings like that only happen in books, don’t they…? Gemma Astley has succeeded where so many others have failed. She’s managed to tame tearaway rock star Dominic Heath and stop his womanising ways for good. But just as they find happiness, Dominic’s secret aristocratic past becomes public knowledge, and jeopardises everything. Dominic is actually Rupert Locksley, heir to Mansfield Hall, a crumbling stately home that needs major financial investment to save it from ruin. Dominic’s mother pleads for his help, but his father, the Earl, is on the verge of disinheriting him. Meanwhile Dominic’s new status as Mansfield’s long-lost heir attracts the attention of cut-throat socialite Bibi Matchington-Alcester, who means to make him hers at any cost. Will Gemma and Dominic – as well as Dominic’s ancestral home, Mansfield Hall – come through unscathed? I’m an Indian resident and have been desperately trying to get hold of the hard copy of your book for past few months. But so far have found only kindle version available. 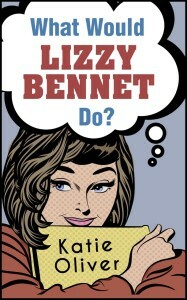 So I hope you could assist me as to where I can get the hard copy of Mr. Darcy series and other books authored by You. 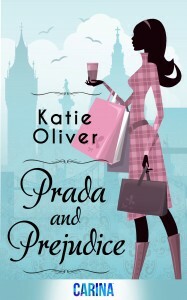 Unfortunately, although Prada and Prejudice has had two successful print runs, there are no plans for more printings. The rest of my books are available digitally only. I’m sorry. I would LOVE to see all of my books in print, but since my publisher was/is digital first, the option to publish to hard copy is theirs. However, if you check on Amazon, there are usually used books on offer from second-hand sellers that will ship to you. What I might do is put together some print versions myself and offer them on my website, if there’s enough interest. Thank you so much for your comment and best of luck in finding a copy out there somewhere! I am a resident of Indian and have been desperately trying to get hold of the hard copy for past few months. But only kindle version is available and yet not able to find the hard copy. I actually don’t prefer Kindle Edition due to health concerns, I’m more of old school person who likes to get the hard bound and save on my bookshelf, like a collection . 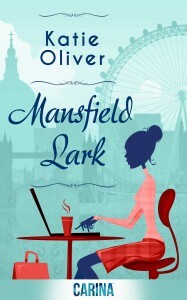 So I hope you can help me out here, as to how I can get the hard copy of your book and Mr. Darcy series. I’m actually writing a new Natalie story and picking up with her life (and Gemma’s) five years later. It’s a lot of fun to finally revisit these characters and see what they’ve been up to.